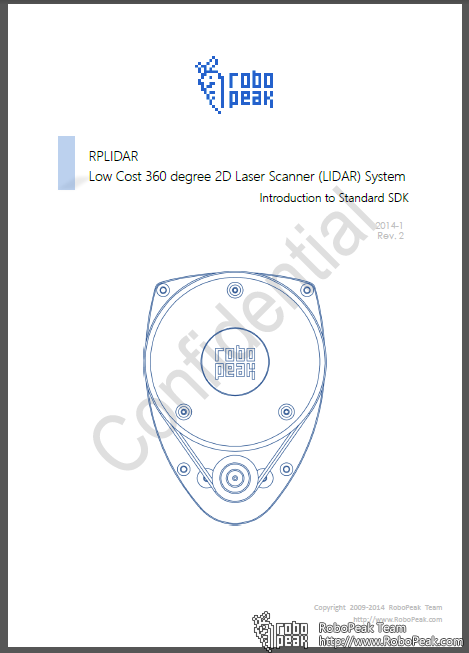 We once announced our low cost Laser Scanner, RPLIDAR in the last year. After about half year, we have achieved better product quality through optimizing design as well as the production process. Currently the first batch of mass production RPLIDAR is ready for sale. Now, we are proud to announce, RPLIDAR will be released in the end of this April! 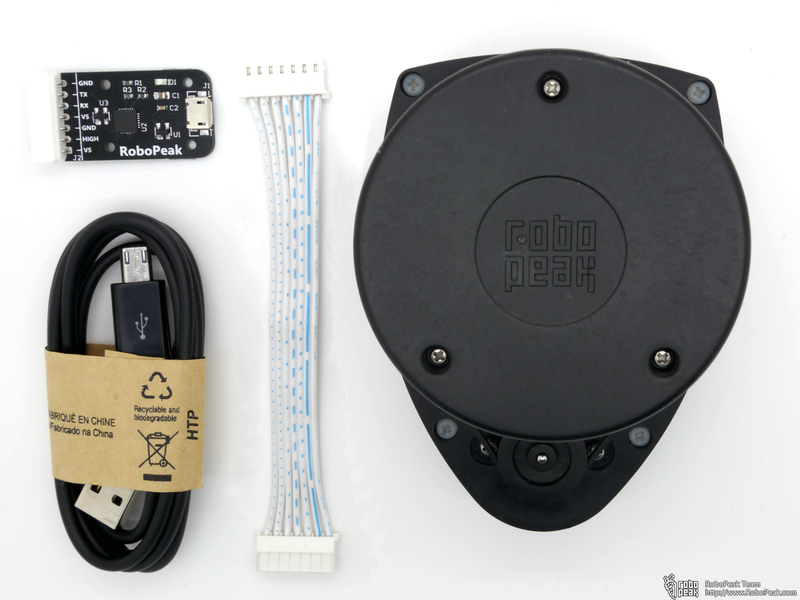 And you can order it via support@robopeak.com. RPLIDAR is a low cost LIDAR sensor suitable for indoor robotic SLAM application. It provides 360 degree scan field, 5.5hz rotating frequency with guaranteed 6 meter ranger distance. By means of the high speed image processing engine designed by RoboPeak, the whole cost are reduced greatly, RPLIDAR is the ideal sensor in cost sensitive areas like robots consumer and hardware hobbyist. The RPLIDAR core engine performs high speed distance measurement with more than 2000 samples per second. For a scan requires 360 samples per rotation, the 5.5hz scanning frequency can be achieved. Users can customized the scanning frequency from 2hz to 10hz freely by control the speed of the scanning motor. RPLIDAR will self-adapt the current scanning speed. Each RPLIDAR to be produced must pass several strict tests and perform calibration to ensure more than 6-meters’ ranger distance with the laser output power still complies with CLASS I standard. For more details, please refer to the datasheet. We will release the related ROS node to help users integrate RPLIDAR into ROS system. 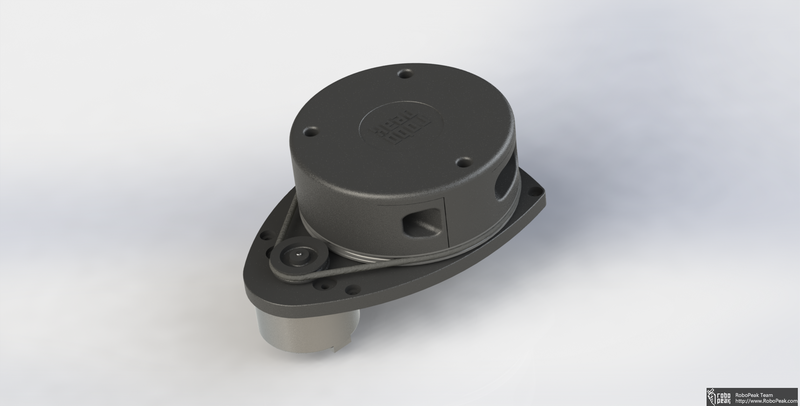 For product level application, we are developing our high performance SLAM solution which is optimized for RPLIDAR. Our SLAM solution can work greatly within embedded systems. 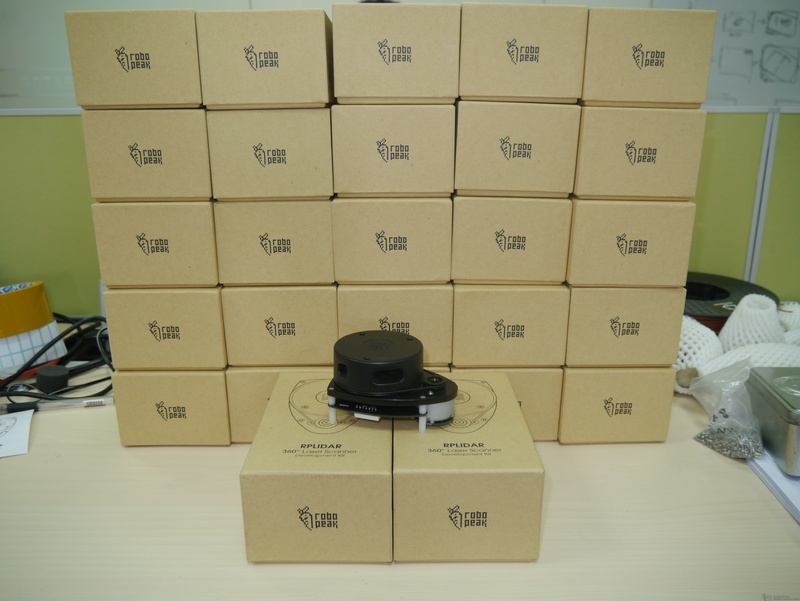 To help user to quickly evaluate our RPLIDAR, the first mass production volume is provided as development kits. A development kit includes an RPLIDAR with build-in motor driver and a usb adaptor to allow the RPLIDAR to be connected to PC. Besides, the open source SDK and demo applications are provided. Nice unit. Thanks for bringing something to the robotics community.